Radial groups whose development and size is bigger than usual for the locality. The prisms, very flattened, have good color and luster. 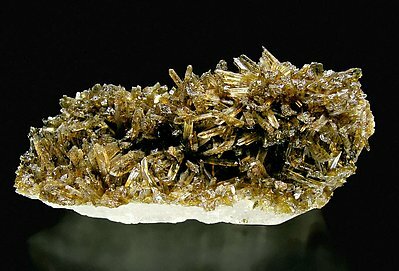 Prismatic crystals with well defined faces and edges, with perfect terminations, on a group of Quartz crystals. The crystals are prismatic, thin, transparent and bright. Some of them are doubly terminated. Due to their color and luster they have a strong contrast with the crystalline Quartz matrix. The analysis confirms it is Childrenite. 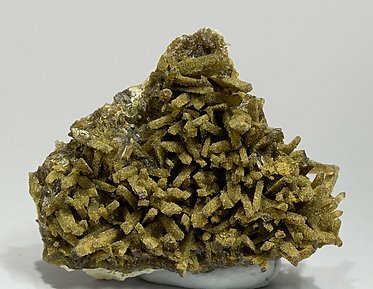 Roscherite, also analyzed, is present as very small crystals covering the Childrenite. The crystals are prismatic, thin, transparent and bright. Some of them are doubly terminated. Due to theirt is color and luster they have a strong contrast with the matrix of Quartz, Albite and Muscovite. The analysis confirms it is Childrenite. 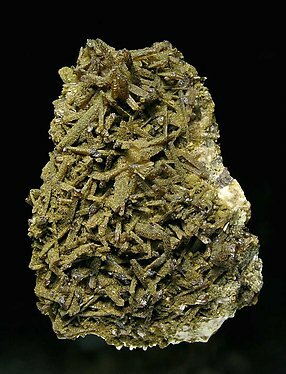 Roscherite, also analyzed, is present as very small crystals covering the Childrenite. The crystals are prismatic, and quite thick. Some of them are doubly terminated. Due to their color and luster they have a strong contrast with the matrix of Feldspar. The analysis confirms it is Childrenite. 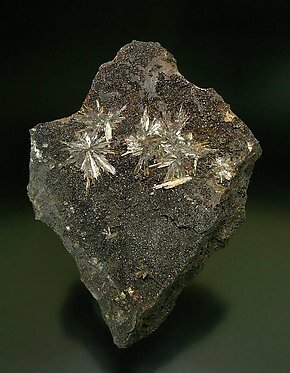 Roscherite, also analyzed, is present as very small crystals covering the Childrenite. 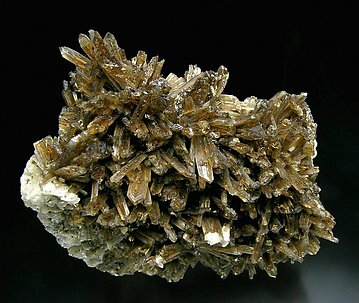 Aggregate of very elongated crystals of Childrenite with very sharp faces and edges, partially coated by Roscherite, in an Orthoclase matrix. We’ll send a copy of the analysis to the buyer. 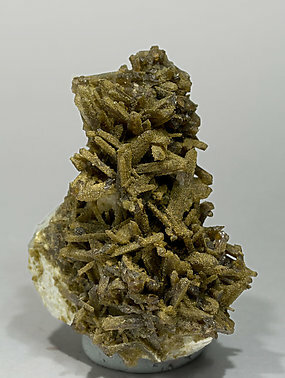 Aggregate of very elongated crystals of Childrenite with very sharp faces and edges, partially coated by Roscherite. 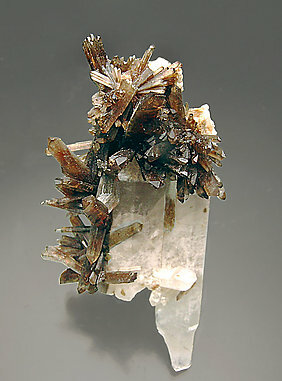 In a Quartz matrix with Albite. We’ll send a copy of the analysis to the buyer.